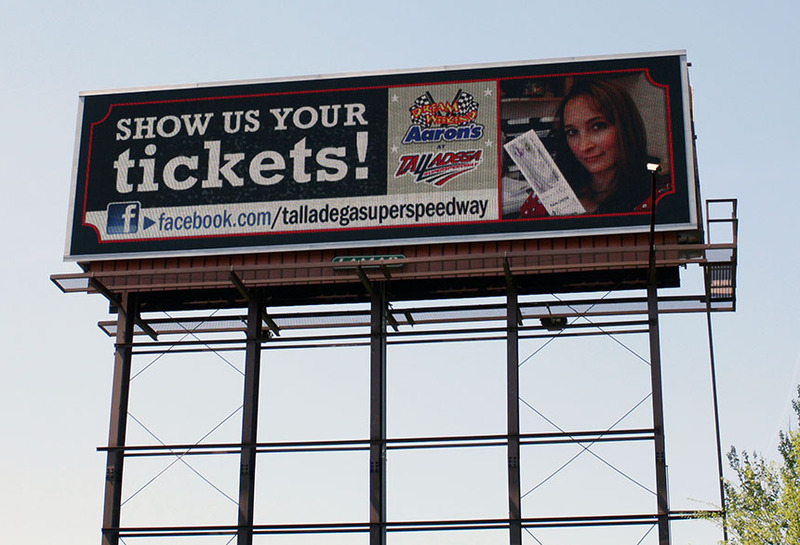 A movie theater in Talladega, AL ran a promotional advertisement campaign using Lamar digital billboards. This creative stimulated individuals in the community to take pictures of themselves with their ticket stubs for a chance to be on their billboard. This creative encouraged community involvement which stimulates long term brand loyalty.